Apple has spurred several moves to ban the sale of Samsung’s Galaxy product line in Europe, the United States, Australia and others. According to a new report, the Cupertino company is now moving to ban the sale of the Samsung Galaxy S, the Galaxy S II and the Galaxy Tab 7.7 in Japan, similarly to what it is doing in other countries. 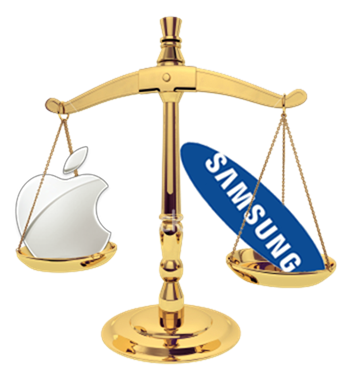 While the lawsuit is not yet officially taken off, but it seems that Apple has filed a complaint with the Tokyo District Court seeking the suspension of the sale of Samsung’s devices due to alleged patent violations by the Korean company. The lawsuit is similar in structure to the ones filed in other countries, which are currently pending investigation. In addition to a full ban, Apple is also watching for 100 million yen ($1.3 million) in damages. Apple has achieved some success suspending the sale of Samsung’s devices in several countries, while some bans have been put in place even before thorough investigations have been made. In Australia, for example, Apple was successful in delaying the availability of the Galaxy Tab 7.7, just before the court requested Apple to reveal the actual sales figures of the iPad 2 so they can determine whether Samsung is really causing damage to Apple’s sales. In the European Union, the sale of several Galaxy smartphones were banned altogether in over 30 member states, and the Galaxy Tab 7.7 was abruptly removed from display at the German IFA conference amid fear of a possible injunction. There were also lawsuits in the United States and Korea, although they haven’t had the same impact on Samsung’s ability to do business. While Apple’s lawsuits might have some merit, given that the Galaxy devices, especially the Galaxy Tab, look very similar to each other both hardware and software-wise, the request for $1.3 million in damages might be quite a stretch. In fact, last quarter Apple managed to sell a record number of iPads, iPhones and iPod touches, holding on to almost half of the tablet market share, while Samsung held on to less than 10%. It’s unclear where these widespread lawsuits will ever end, since some of them seem to be having an actual impact over Samsung’s ability to do business in this space, unlike other major lawsuits which usually just end in expensive settlements. We can say for sure, however, that Apple must indeed have great lawyers.